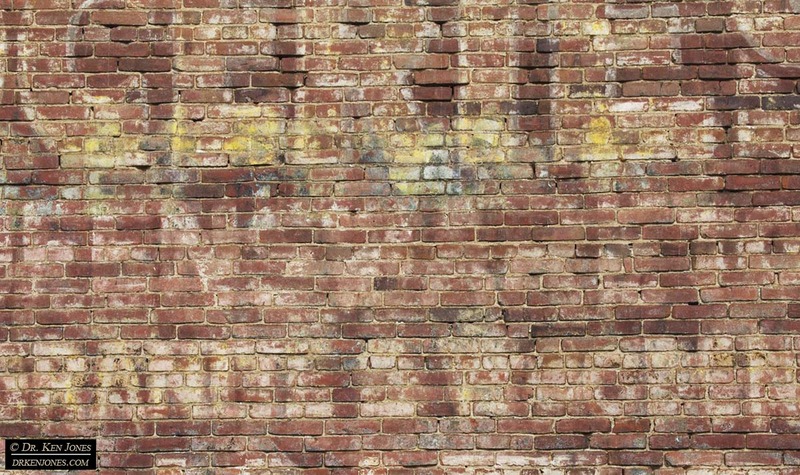 One of the great joys of photographing ghost signs and ghost barns is meeting people. 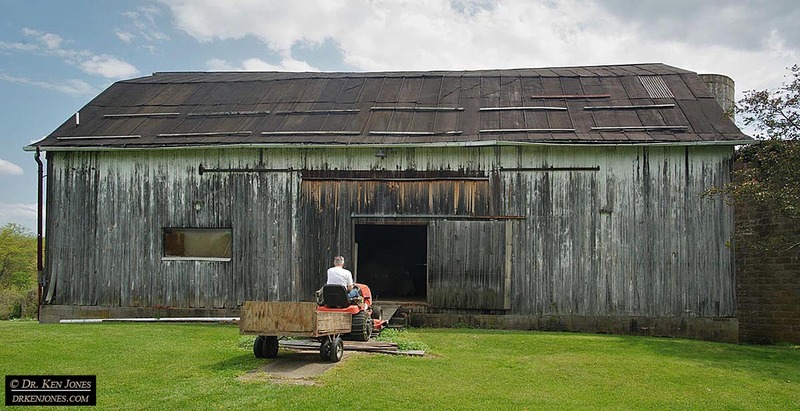 As I was photographing this Mail Pouch Tobacco barn in Ohio, the owner came over and we talked. 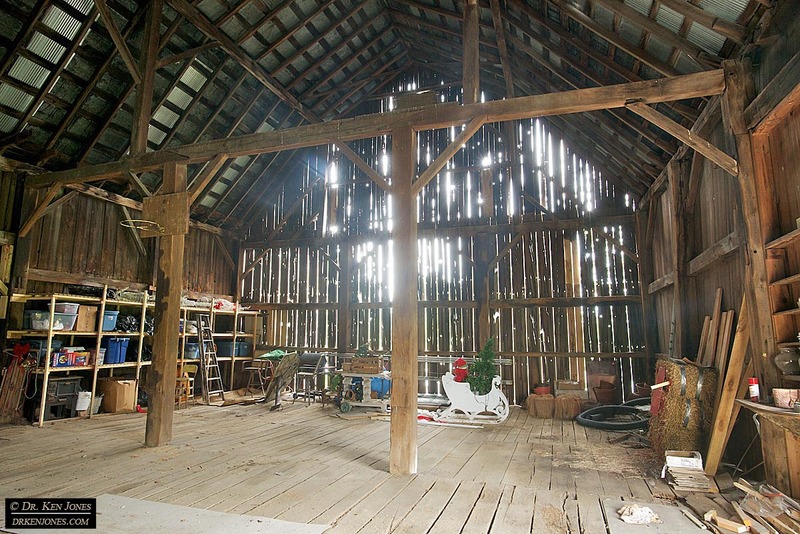 The first thing I did was thank him for not having the barn “restored”. It is the only Mail Pouch Barn I have seen that has a depiction of the package. 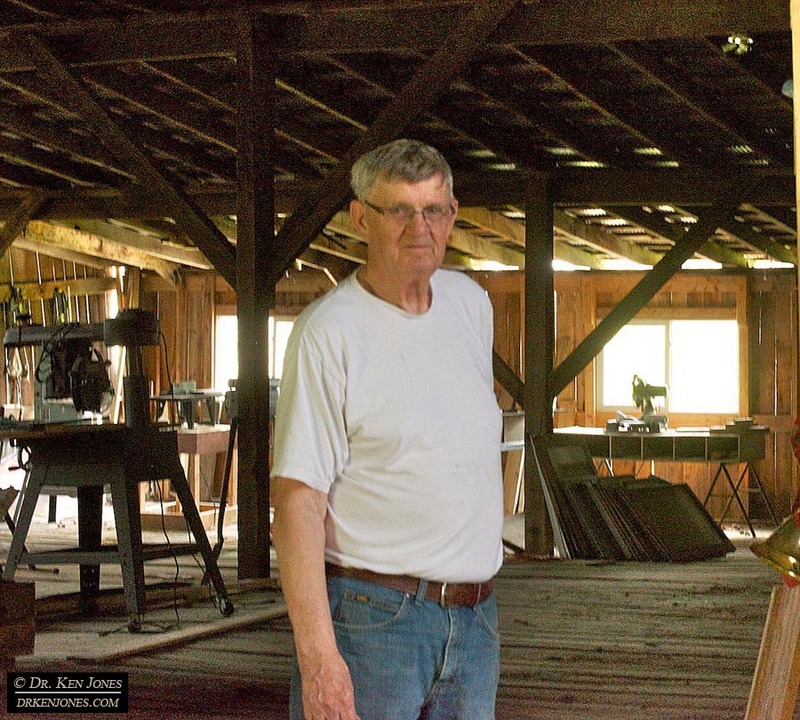 Mr. Gardner, who has owned the barn for 35 years, invited me inside to see how it is built. How cool is that!!!! These are pretty amazing timbers. 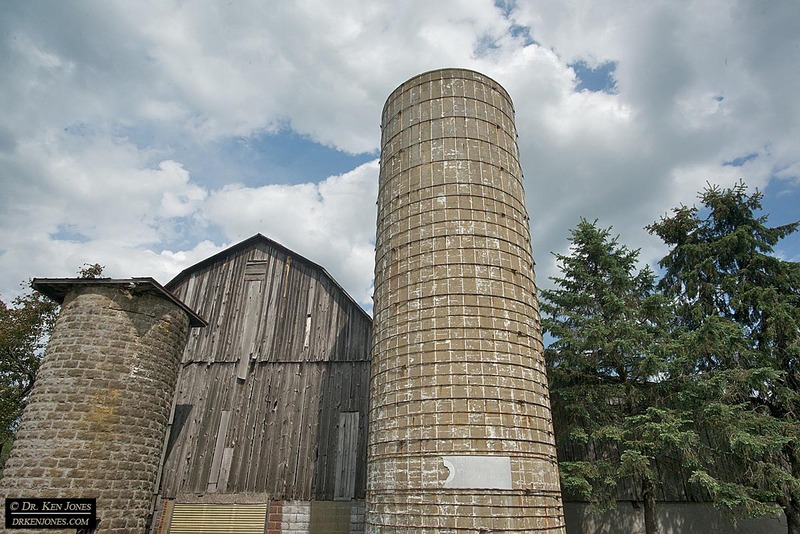 What is even more amazing is that about 100 years ago, the barn was moved to this location from a field across where the present highway is located. 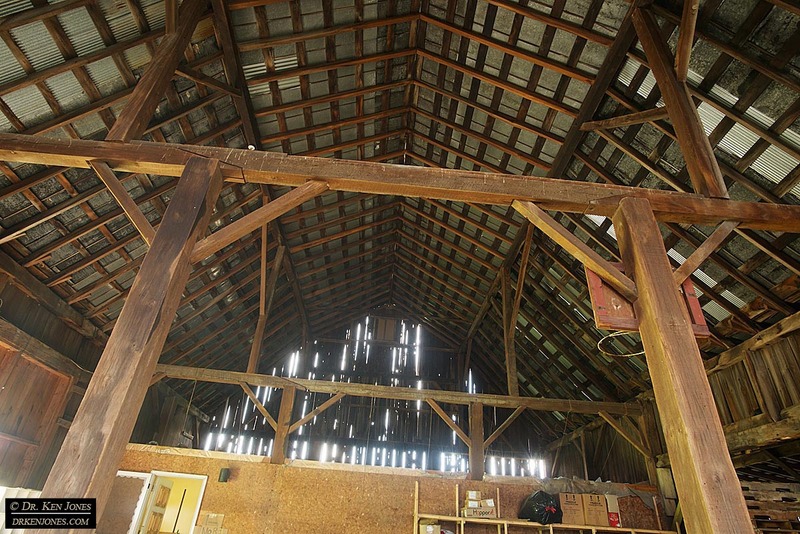 This view shows the inside of the painted part of the barn. 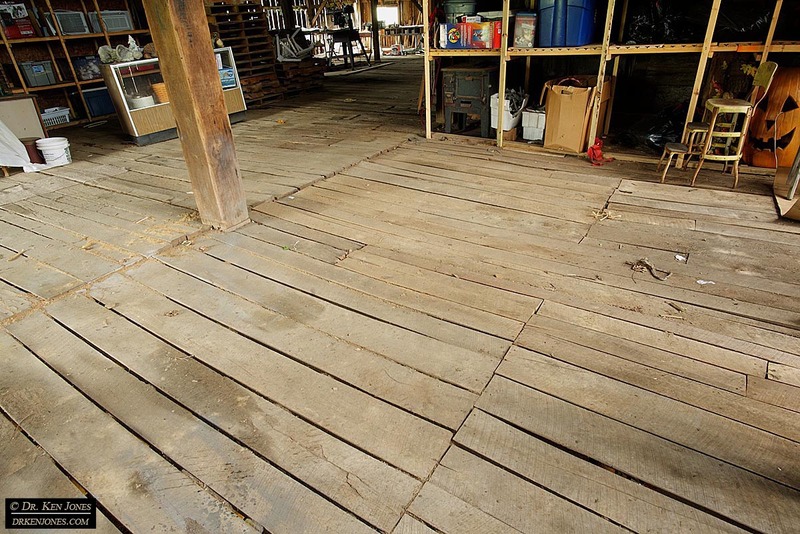 And how about this flooring? 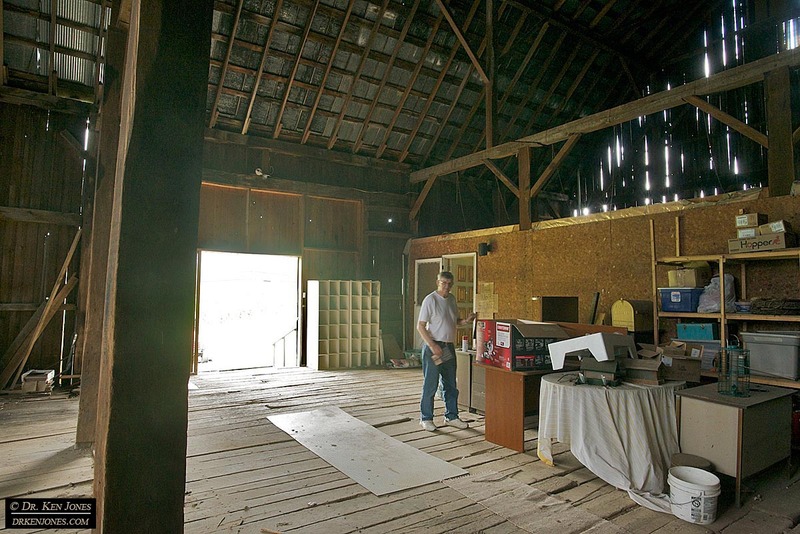 Mr. Gardner maintains the barn, including climbing on to the roof when it leaks, and uses it for storage. I think the continual usage is one reason it is in such great condition. 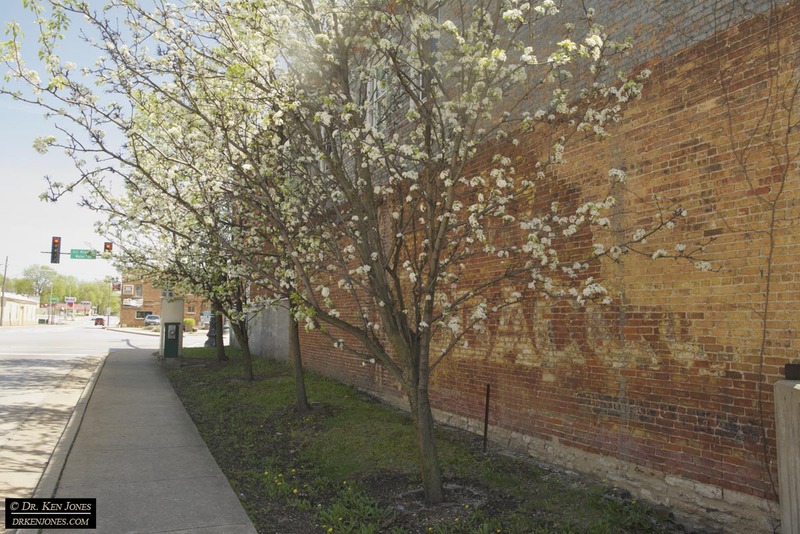 When I am planning my route, I always look for possible towns along my route to see if any other towns might have a sign. i found this beauty in Cadiz, Ohio, just this morning before starting my drive. 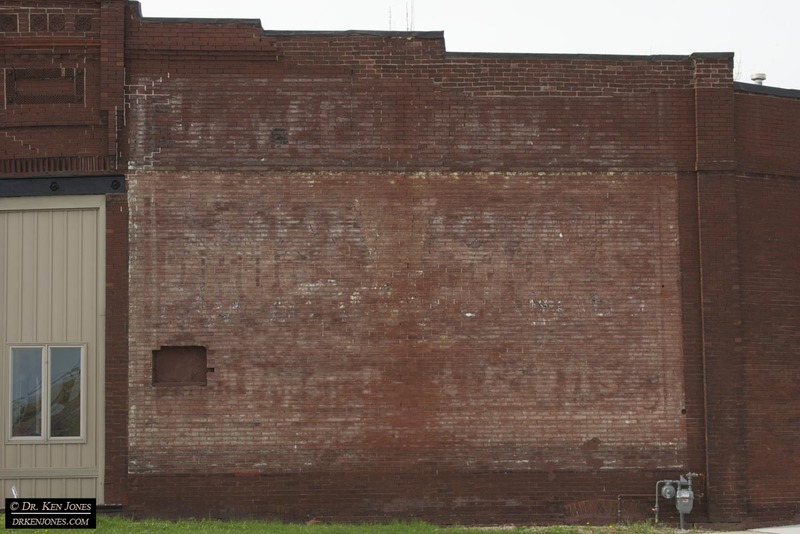 I returned to Carnegie, PA (it was just off the road I was on anyway) to rephotograph this Mail Pouch sign. During my prior visit, I had to shoot around several parked cars, plus there it was sunny. This is a nice shadow setup. 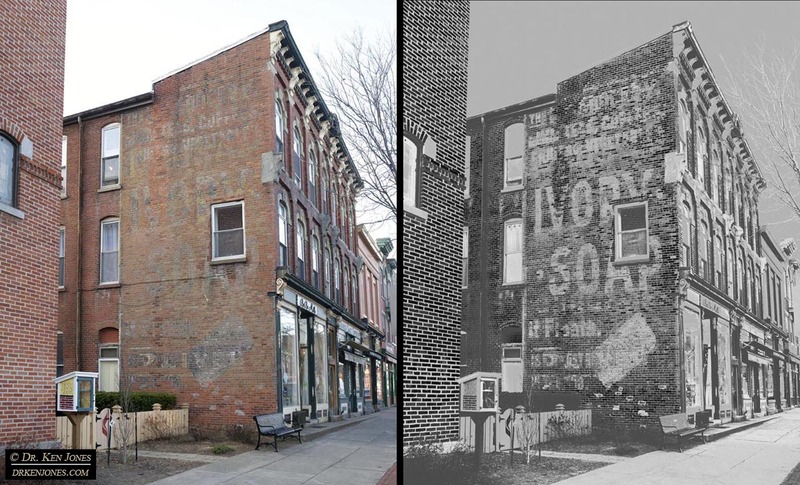 Another Ivory Soap ghost sign, this one in Washington, PA. I returned to Lisbon. 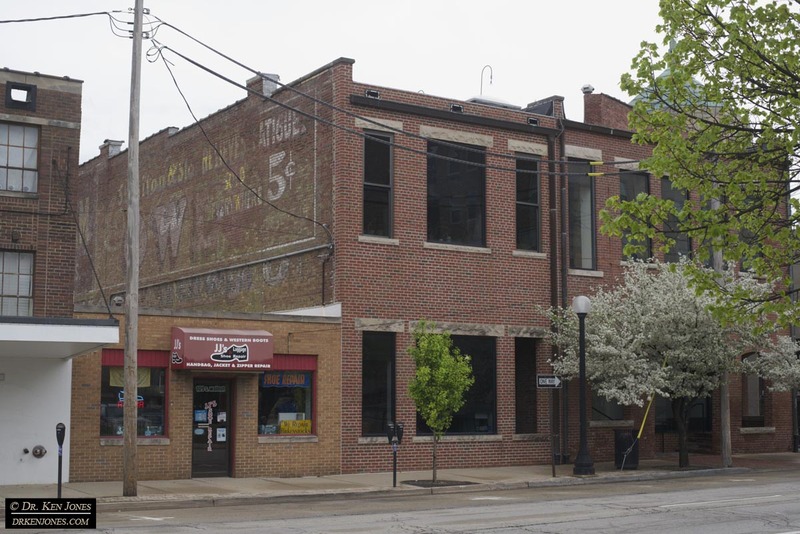 Ohio, to photograph this sign which required my using the pole rig to see over the edge of the building. I always shoot a wide angle panorama, like the one below, before using the longer focal length, to see what other objects are on the room that might block the view. 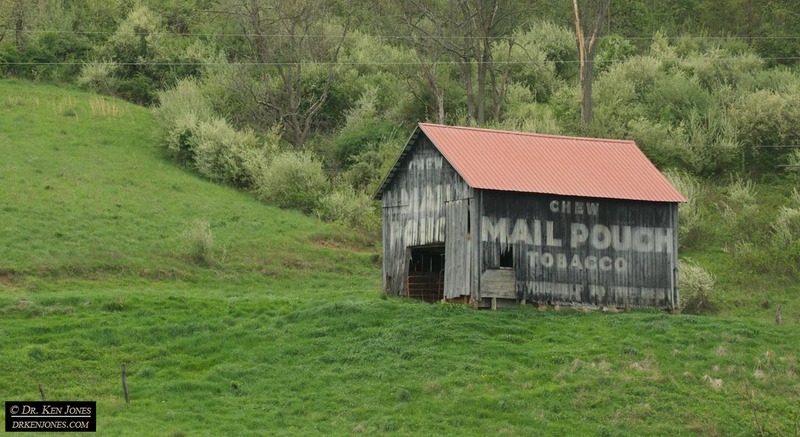 Mail Pouch Tobacco Barns seem to be everywhere in the Ohio River Valley. 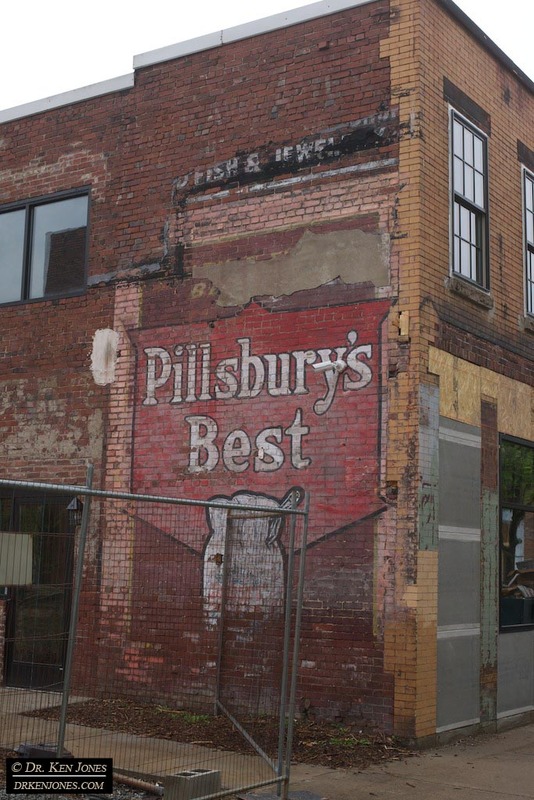 I returned to New Kensington, PA, to continue my series of the revealing and deterioration of this Pillsbury’s Best Flour sign. I photographed it in 2011, 2012, and 2014. Now, the entire top of the sign is revealed, but the bottom half is mostly gone. I’ll create a single composite image when i get home that contains as much of the original sign as possible. As I continue across the country, I am photographing signs I already know about, and some that were unknown to me. Frequently, the ones unknown to me are the best. 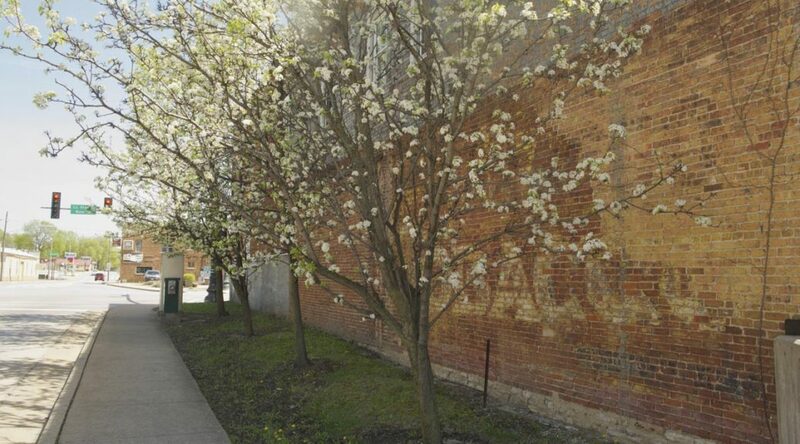 Revisiting Champaign, IL, I found some signs I knew about, and some I did not. The Lee Work Clothes has been exposed by a tear down and is in great shape. Also, in Champaign, IL, is this nice Owl Cigar / Coca Cola sign. 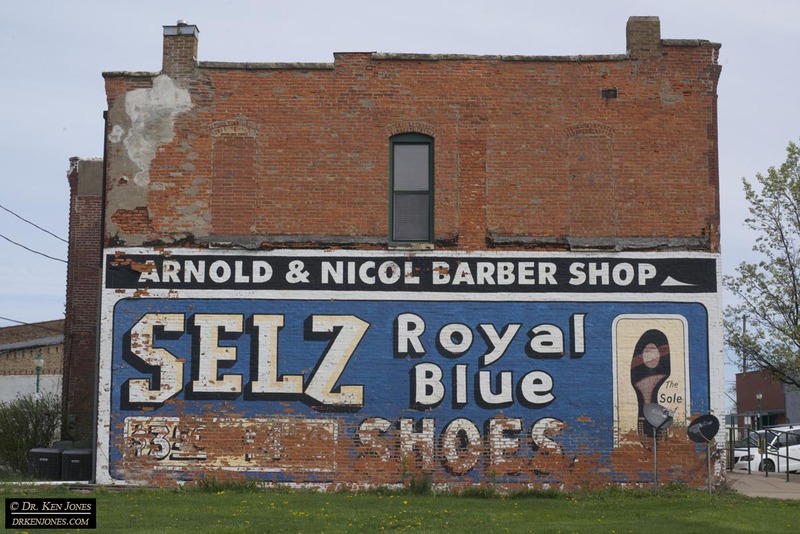 I went to Chenoa, IL (along the old US 66) to photograph this Selz Shoe sign, even though I suspected, correctly, that it is a muralized sign. The newer paint is peeling off faster than the original paint. 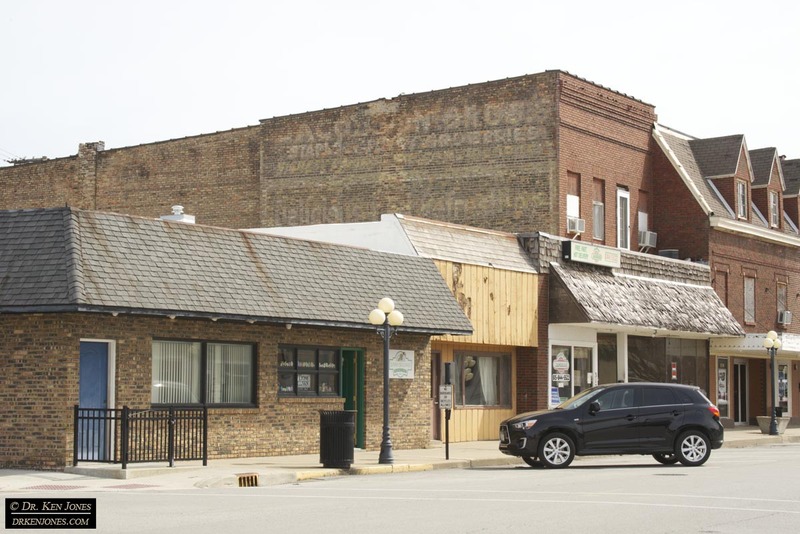 However, also in Chenoa, IL, I found this wonderful multi-layer sign, unknown to me beforehand, that will require enhancement to decipher its contents. 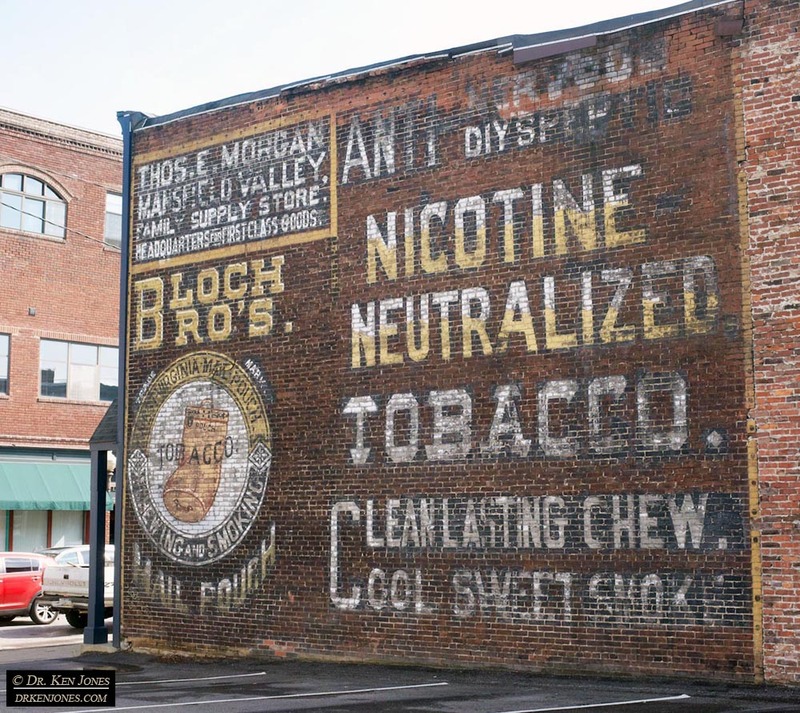 This sign is a true example of a “ghost sign”. Another sign unknown to me before i arrived is this America’s Cup Coffee sign in La Salle, IL. 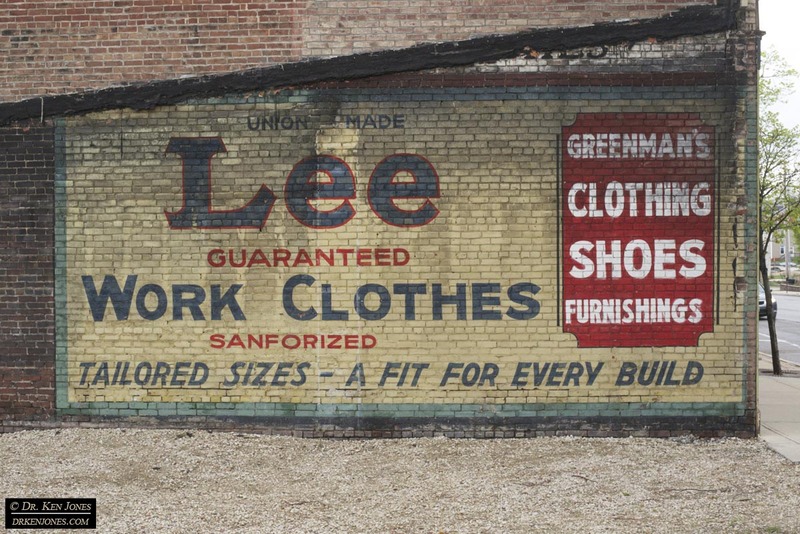 I returned to Princeton, IL, to photograph this great sign for Carriages and Harness. 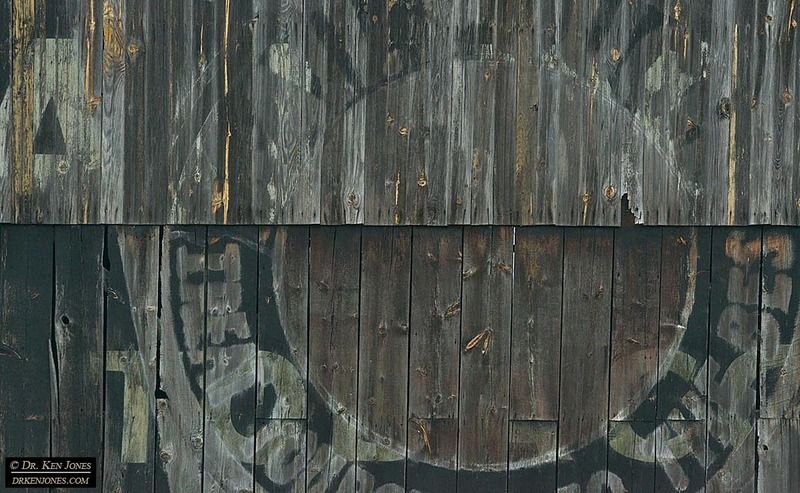 For years, it has been partially covered by a banner. When i saw on Google Street View, photographed late last year, that the banner had been removed, this sign was high on my must-revisit list. 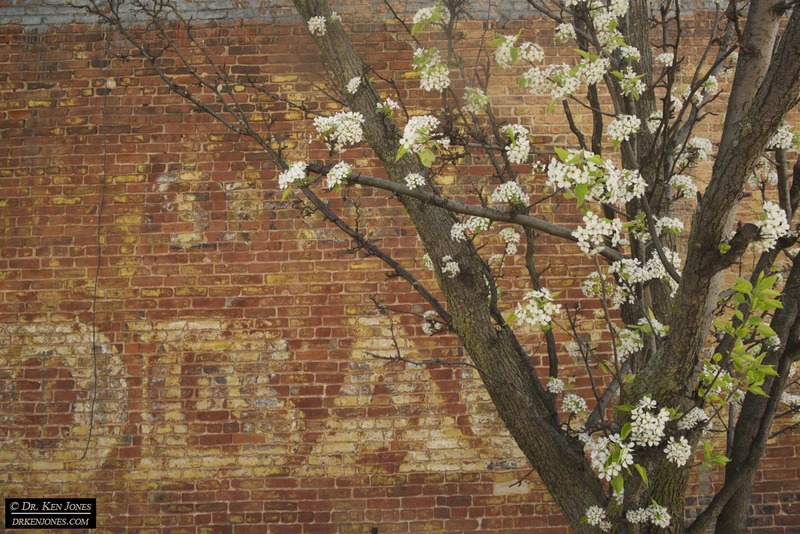 Springtime, in Wilmington, IL, provides nice flowers in front of a sign that I wanted to photograph. I was able to scoot around behind the various branches to get complete coverage. 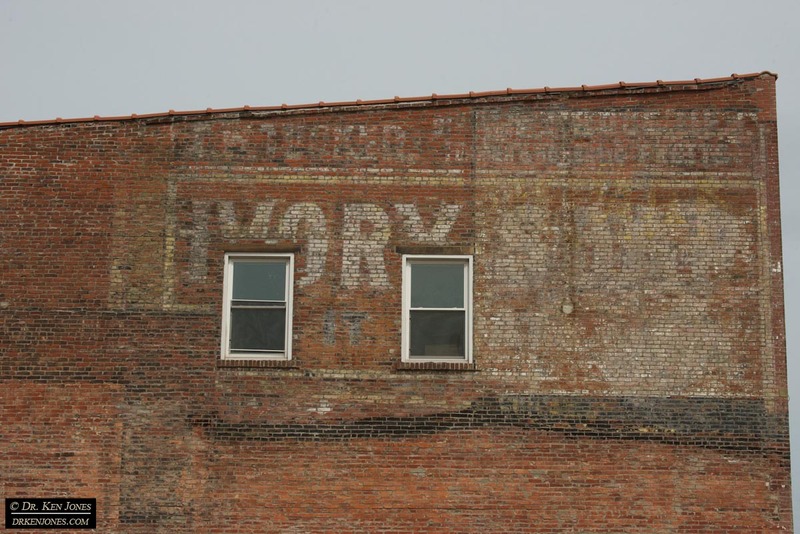 I found this Ivory Soap sign in Brockport, NY, on Google Street View a couple of years ago just after I had driven by. I was able to photograph it last night as the sun moved around the corner of this south facing sign. 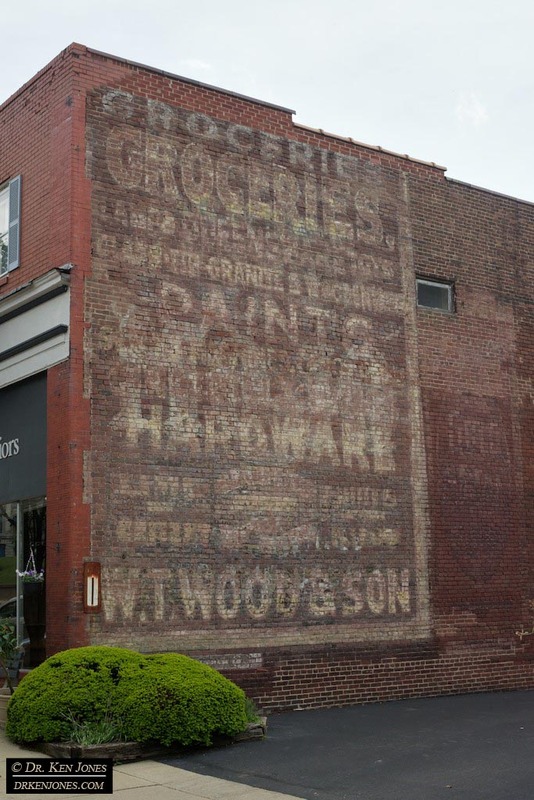 Another sign, unknown to me, is this sign for Battle Ax tobacco and Gold Medal Flour – perfectly balanced “ghosts”. 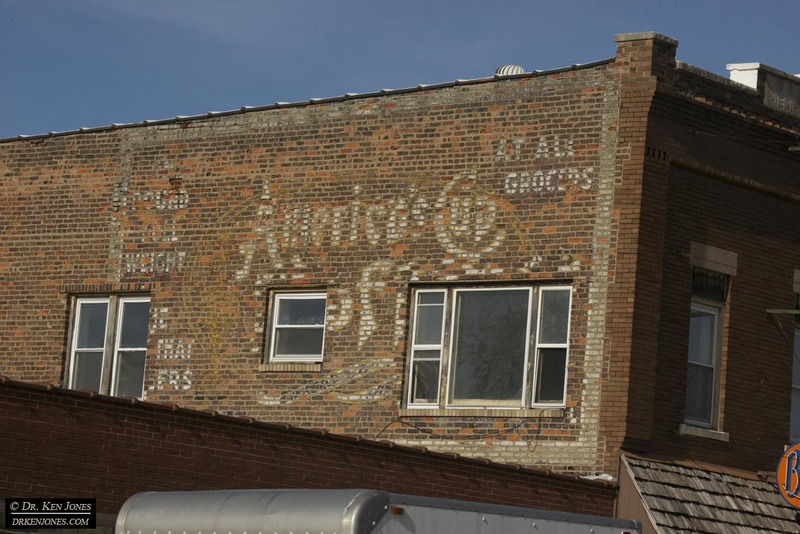 I had to use my pole rig to photograph the sign over the edge of the adjoining building. 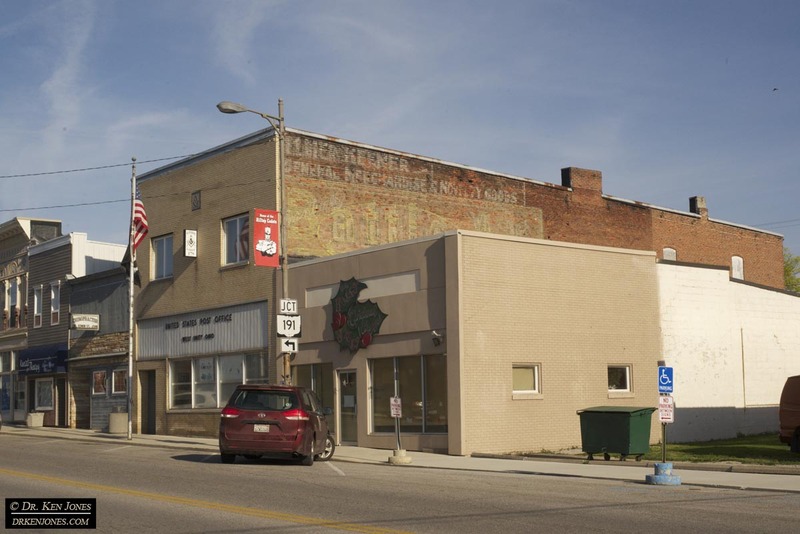 It is located in West Unity, Ohio.